I promised a review of our resort, so here it is. Let me first preface the review with a little bit of my vacation style so you know if our views would be similar. When I vacation I like the beach and tropical climates. I don't really care about activities (no horse back riding with a helmet for me, thanks) and really just want a place to relax, drink, get some sun and eat tasty food. I enjoy all-inclusive resorts because of the freedom they allow. They are not for everyone but I love how you don't have to carry around a wallet or decide where you are going to eat for dinner. The Husband put it best when he said the biggest decision we made all week was what to wear for dinner. After much research (read: I over analyzed everything on Trip Advisor like a psycho), we finally decided on the Secrets Maroma Beach. 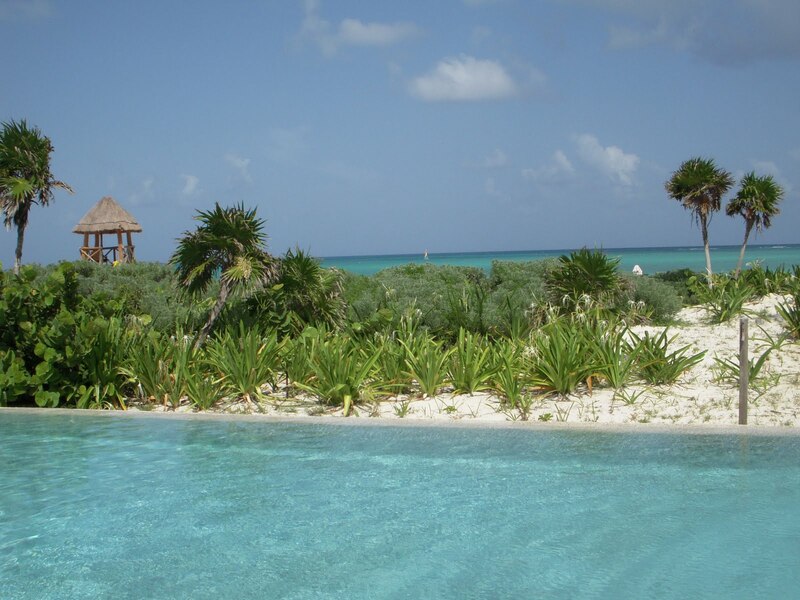 Just 25 minutes from the Cancun airport it is a short flight from Austin, TX. I am not the best traveler, so for a shorter trip like this one I prefer destinations that I can get to a little more quickly. We went to St. Lucia for our honeymoon and it was great but it was WAY to far away. The Property - The overall feeling of the resort is much more high end than some others we have been to. No cheesy comforters or super-themed décor. The buildings and grounds are immaculate and the staff is up early every morning cleaning. It feels very high-end and spa like. Its also the perfect size, not too huge but large enough that you can people watch! Service - The service was truly amazing. From the check in, to the concierge (we were in the Preferred Club) to the wait staff everyone was extremely attentive to our needs. 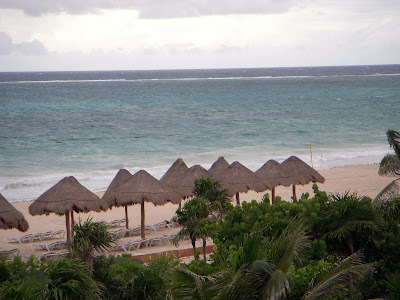 Safety - We were a little hesitant to go to Mexico but felt completely safe, easy ride from the Cancun airport. We took private transportation - highly recommend this. The Food - We loved the food, but we are very adventuresome and enjoy trying new things. If you are a very basic eater - quesadillas and chicken fingers - this might not be the place for you. We loved the seafood restaurants and the passed appetizers they had around the pool in the afternoon. Also, they had plenty of bottled water in the room and at every bar and restaurant so that was not a concern. 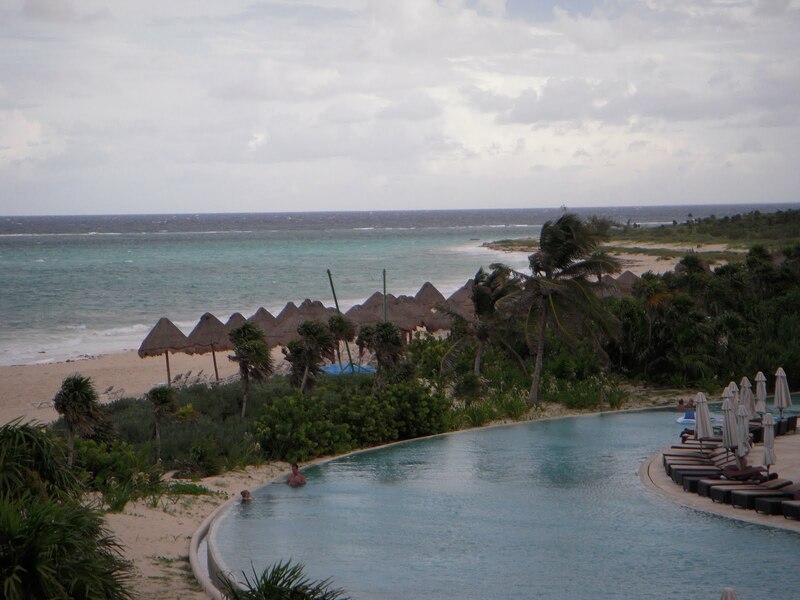 The Pool & Activities - We did not take any trips of the resort, just enjoyed the pool and the beach. The lounge chairs are super padded and comfy, the beach is nice and if you want to participate in volleyball or yoga there is a great activities staff. We also attended one of the night shows - a circus type - and it was amazing. Overall I would highly recommend this property and would definitely go to another Secrets brand resort over the Sandals we visited for our honeymoon. If you have any other questions about the property, feel free to email me. Also, we were able to get a discounted rate through a friend but she does not normally book individual trips. If you or someone you know are a travel agent with the hook up at Secrets I am more than happy to pass your info along to my friends when they ask!